You'll be £25.00 closer to your next £10.00 credit when you purchase Deborah and the War of the Tanks 1917. What's this? Verdict: A compelling read. Bringing the stories of the men and machines to life with a page turning quality to it. A very compelling read, combining narrative flow with excellent research. It is well annotated, well illustrated and indexed and weaves a constant thread between history and the tales of Deborah's recovery. Despite the book's size, do not be fooled into thinking that it'll be a quick and easy read. It is literally bursting at its covers and needs time to be fully read and appreciated. However, the result should be well worth your patience. 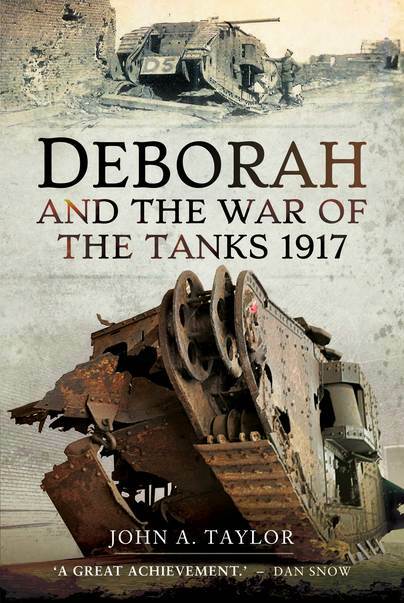 Whether you are a tank nut or merely interested in military history of the First World War, now, a exactly a century on, would be the ideal time to learn about Deborah. Deborah's story is a fascinating one, both her wartime service and eventual recovery. 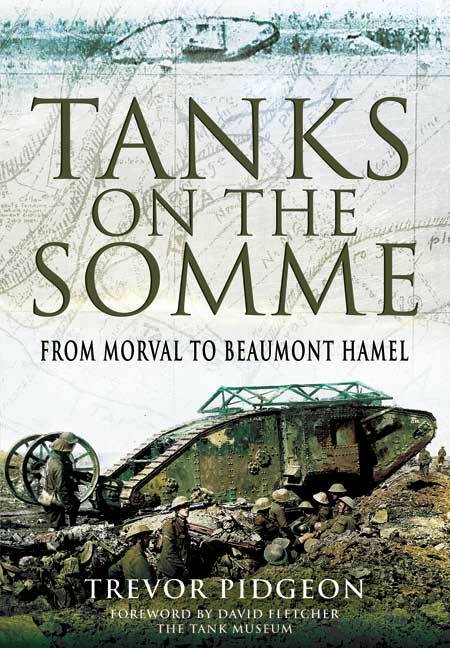 This book covers the tank's crew and the battalion to which it belonged. Just as interesting is the attention paid to the research used to find the tank and tell its story to the world. It is a fitting tribute to both veterans of the war and the modern enthusiast who toil to commemorate their service and sacrifice. Deep background for modelers of World War I tanks. Deborah was a British First World War tank that played a leading role in the first successful massed tank attack at Cambrai. Eighty years later, the buried remains of the tank were excavated; they are now displayed as a memorial to the battle. This book tells the story of the tank and its crew, going so far as to track down their descendants, to tell a compelling story. This book is emotive in the many quotes of sights, sounds and experiences of the soldiers in 1917. The emotion is also reflected in the dedication of the members of the project and residents of Flesquieres, Plans have been made to house Deborah in a dedicated museum 'on a site adjacent to the cemetery in where her crewmen lie buried'. The best book to come my way this year was Deborah and the War of the Tanks 1917. This is an impressive debut by John Taylor. A single British tank, buried after the battle of Cambrai in 1917 and later rediscovered, as a treasure of First World War archaeology. Taylor skilfully and readably ties the tale of the tank and its crew to the wider birth of armoured warfare. He makes startling historical discoveries en route. This a very human story, as much about the tank crews as the tanks themselves. It is as much a book of archaeology as it is of military history, and one told in a most engaging style, indeed this book would make the basis for a great documentary. An engaging book and one that would appeal to a wide audience. As a tank warfare book it stands out as a future classic. The effect is to draw me in to the history of tank warfare from 1916-18. Britain’s tanks were not invulnerable, but they had something others mimicked but could not beat on the battlefield. They were crewed by some of the bravest men the war produced. Equally courageous men would give all to stop them. Mr Taylor honours them all, friend and foe alike. At war’s end many of the rhomboid monsters became monuments in British towns until they faded away. Rust never sleeps. You can see some in museums but they are few and far between. Happily Deborah survived as a force for good and she is destined to move into a new home adjacent to where her crew are buried just yards from where they died in 1917. Right now all you can see is a hole in the ground but a visitor’s attraction based on the muddy tomb where Deborah lay will retain the spirit and memories of how she was found back in 1998. The lovely Suzanne and I cannot wait to see her there. This wonderful book will take you to the Cambrai battlefield of 1917 and give you much more besides. So much so you may find the book gives you enough. But I suggest you make plans to visit Deborah. Once seen, never forgotten. Read the fantastic full review here. A remarkable account of the excavation and preservation of an iconic piece of achinery, a tank that took part in the attack at Cambrai. Lots to read in here, and it makes up a fascinating story, well timed for the 100th anniversary of the first tank action. Deborah is a British tank from World War One that rose from the grave after taking part in one of the most momentous battles in history. In November 1917 she played a leading role in the first successful massed tank attack at Cambrai. Eighty years later, in a remarkable feat of archaeology, the tank's buried remains were rediscovered and excavated, and are now preserved as a memorial to the battle and to the men who fought in it. John Taylor's book tells the tale of the tank and her crew and tracks down their descendants to uncover a human story every bit as compelling as the military one. This book is everything that military history should be. Diligently researched, factual, objective and at times achingly poignant. The prose is engaging, the narrative is clear and it flows well. It is a fitting tribute to the remarkable men who fought in these early tanks. I urge you to read it and have no hesitation whatsoever in awarding it five out of five. I would give it six were that possible. A great achievement. One of the most remarkable treasures of First World War archaeology receives the treatment it deserves in this hugely detailed yet highly readable new history. As featured on Silver Travel Advisor. John Taylor's book tells the tale of the tank and her crew and tracks down their descendants to uncover a human story every bit as compelling as the military one. Anyone interested in the First World War, especially the Tank Corps, should read this book. It is one of the best books I have read, and I have read many books about World War 1. It is very factual about the hardships the tank crews suffered. 10 out of 10. John Taylor studied history at Cambridge University and has a lifelong interest in the First World War. He worked as a journalist for many years on national newspapers, TV and radio, before moving into the field of public relations, initially working on issues and crisis management and later as a communications director in the healthcare sector. Early retirement has given him the opportunity to write this book, which marks the culmination of a long-running project involving a dedicated team of researchers in Britain and France.